Booking a luxury airport transfer with Auckland Airport Limos means having the certainty of a discreet, professional, service to the destination of your choice. 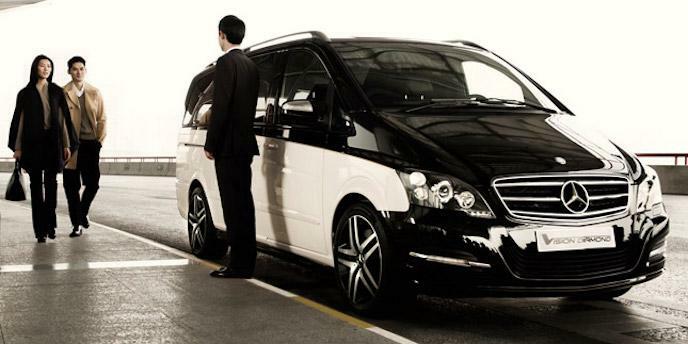 Our Mercedes luxury vans can hold up to 6 passengers and are equipped with the latest safety features to ensure your ride is enjoyable. Auckland Airport Limos have been providing luxury passenger transport since 1861. Our professional, highly experienced drivers arrive on time with vehicles guaranteed to be clean and comfortable. On arrival at Auckland Airport, you will be met by your driver with your name on a sign. We will monitor your flight and make allowance for early or late arrival of your flight.